Another catch up post, this time a piece for The Times in the wake of the horrible attack in Nice. Not sure the article totally corresponds with the piece, but the fundamental point about France facing a very acute problem definitely holds unfortunately. From the Charlie Hebdo massacre in January last year, the attack on Paris last November and Thursday’s outrage in Nice, it is clear that France is the western focus for Islamist terrorists. The reasons lie in a unique combination of practical and historical factors. Back in the 1990s, the nascent terrorist threat to Europe came from north Africa, where France had been the big colonial power and a focus for hatred. Algerian groups launched a series of attacks in France, and put in place networks that were nurtured on the jihadist battlefields of the Balkans war. These networks developed links with London, through preachers and terrorists who would enter the UK, and even with north America in the shape of, for example, Ahmed Ressam, who was arrested trying to cross the border from Canada into the US to bomb Los Angeles airport on New Year’s Eve 1999. However, during the 2000s the focus shifted, with the UK bearing the brunt of attacks directed by al-Qaeda against the West, with the US often proving too difficult for terrorist networks to penetrate. Today, France is once again at the centre of the threat. It has always been regarded by Islamists as one of the old imperial powers at the heart of the western alliance against them. But what’s changed is that the terror threat comes increasingly from the Arab Levant, a part of the world encompassing the eastern Mediterranean and north Africa that France has stronger links with than any other European power. Previously, the heart of global jihadism was in south Asia, a region that Britain had a greater connection to. Nowadays, both France and Britain have jihadists going to fight in Syria and Iraq. France does, however, have noticeably more. There are practical issues that have exposed France to a greater threat. Its open borders with fellow EU nations, through the Schengen free movement area, give it the benefits of free trade, but make it harder to secure against terrorism. 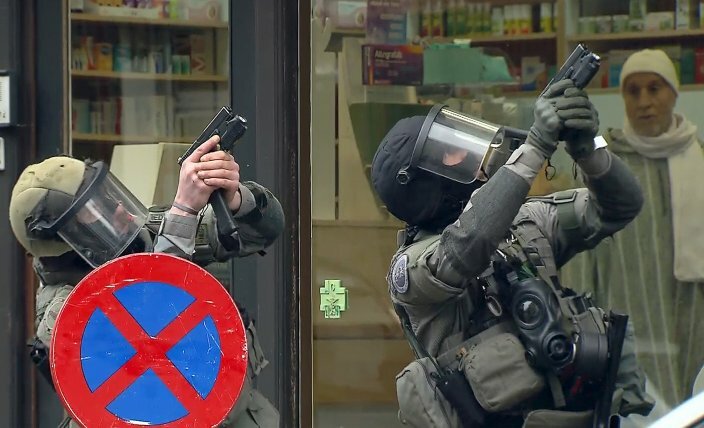 With an almost uncontrolled flow of people and weapons, French authorities are dealing with a threat that is much more heavily armed than anything in the UK. In an echo of the British experience after the 7/7 attacks, French MPs recently lambasted the performance of their intelligence agencies and the institutional rivalries that prevent them from collaborating effectively. Since the intelligence failures of 7/7, Britain has invested huge sums in personnel and technology. France needs to learn the same lesson to ensure that its squabbling agencies focus on the job in hand. We should be careful not to blame the attacks in France on the country’s large Muslim population. It’s clear that Muslims in France feel alienated, but so do Muslims in many other countries in Europe that are much less tolerant of religious and ethnic minorities. Before some French politicians seek to blame the attacks on their fellow citizens, they should realise that fomenting civil strife is what these atrocities are designed to do. France may be in the crosshairs of Islamist terrorism, but once it develops a response, the scourge will seek new countries in which to carry out attacks. It has been a busy week after the sad events in Brussels. A lot of links and posting to catch up on, but am on the road so not so easy to do. For the time being, here is my preliminary thoughts on the attack for the Financial Times. More to come soon. It is still unclear exactly what Brussels has faced just prior to Easter. The random nature of the date and targeting suggests a plot that may have been brought forward, while the scale of the attack suggests it must have been in the pipeline for some time. 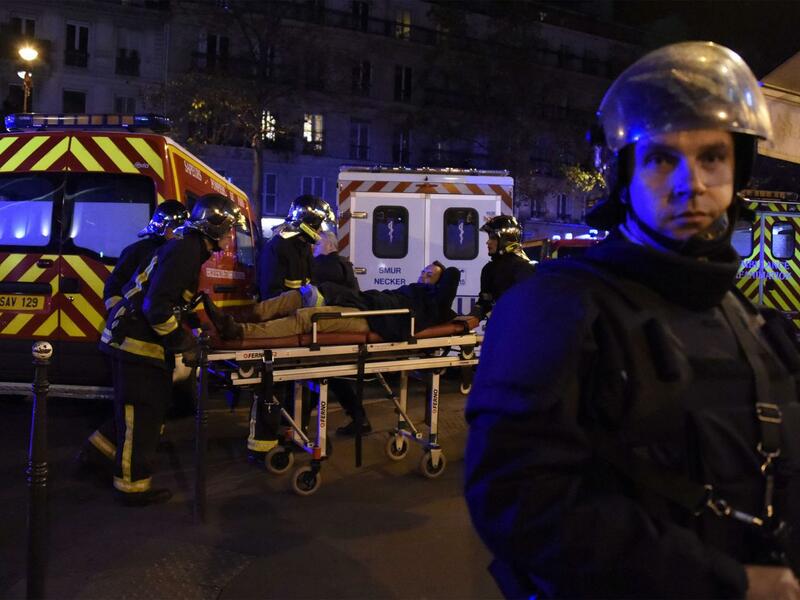 The Isis network, also linked to November’s Paris attacks, has claimed responsibility. The bigger issue, however, is not who is to blame for this atrocity but rather how much Europe will warp to address an acute terrorist threat, with cells apparently able to launch large-scale atrocities on an increasingly regular basis. The first questions raised will focus on Belgium’s response to the problem on their home ground. Authorities may have scored a victory by capturing Salah Abdeslam, one of the Isis-aligned plotters linked to the Paris attacks, but they missed a network planning an atrocity with heavy weapons and explosives. This suggests gaps in the understanding and surveillance of the terrorist threat. Given that Brussels sits at the political heart of Europe, this points to a problem that can no longer be described as Belgian alone. While for some the terrorist atrocities in Paris was a wake-up call, for security forces it had been expected for a while. Terrorist groups, from al-Qaeda to Isis, have long sought to launch a terrorist attack in the style of the 2008 Mumbai attacks, and a string of plots have been disrupted or launched from a francophone network emanating from Brussels. 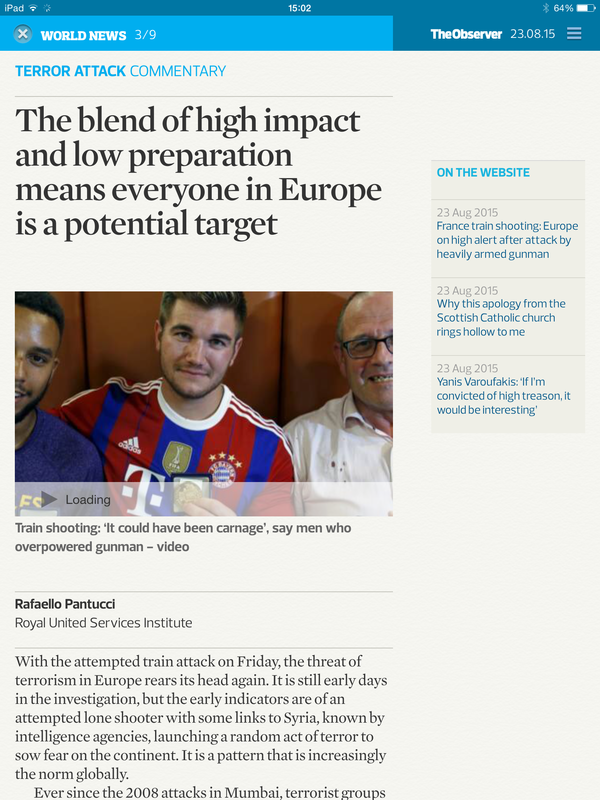 The Paris attack was the realisation of these fears from a depressingly predictable place. The networks of radicalised individuals with links to Isis have grown as the group continues to hold sway on the battlefield and send back peopleand plots to their original bases in western Europe. Given the tempo of attacks and the ease with which the networks appear able to acquire weapons and move freely around the continent, Europeans will ask themselves how much longer they will face this threat. Is this the start of a regular diet of such atrocities or the breaking of a wave? Given that terrorist groups have been able to launch three big, ambitious plots in Europe in the past year and half, the sense will be that we are in the thick of this threat with no end in sight. The choice of targets is predictable. Terrorist groups have long fetishised aviation as a target, both as a way of visibly lashing out against the globalised political establishment but also for the high impact. Mass transport systems by their very nature have to be open to the public, which makes them tempting targets as they offer an easy opportunity to strike at the heart of a society. Questions will be asked about ramping up security levels but this will bring costs and further inconvenience to the daily lives of citizens. Think of the ramifications of a plot in 2006 where a cell planned to use liquid bombs on a series of transatlantic flights. Liquids are still banned on aircraft today. The Brussels attacks will also play badly against the backdrop of Europe’s migration crisis. It will not be entirely surprising if elements close to the recent attacks found ways of slipping into the country alongside refugees from the Middle East. An already tense situation in Europe will grow more fraught, and this will have inevitable political ramifications too. This is the biggest problem with which security planners will have to contend. It is often said that the best response to a terrorist threat is to keep calm and carry on. This is sage advice but in the face of a network that appears able to strike with impunity, and a political environment growing more toxic by the day, it will be ever harder for security forces and politicians to ensure that Europe maintains its values in the face of the terrorist threat from within. A brief reaction piece for Newsweek after Salah Abdeslam’s arrest in Molenbeek on Friday. The broader story of ISIS in Europe is going to continue to be an issue and undoubtedly more on this to sadly come. The arrest of Salah Abdeslam is undoubtedly a success for Belgian and French security authorities. His live capture will provide intelligence agencies with a wealth of information, while his eventual trial will go some way to providing the victims of the Paris attacks with justice and closure. However, his arrest in a district of Brussels only a few hours from the scene of the attack almost four months later will undoubtedly raise questions about how one of Europe’s most wanted men could evade capture for so long. For Belgian and French authorities, success has to be tempered by the reality of the threat they are facing that continues to clearly have deep roots into their communities pointing to a long war in which Abdeslam’s arrest is a battlefield victory. The interview highlights the size of the networks that French and Belgian authorities are facing. Within this context, it is therefore somewhat unsurprising that Abdeslam would choose to go to ground in this environment. One that he knows well, and one that clearly has a web of supportive figures and locations that he can call on to help him evade one of Europe’s largest manhunts. Molenbeek in particular is a longstanding location of concern, with terrorist plots emanating from the district from before September 11, 2001. There are further questions about why Abdeslam did not die in the Paris attacks. This likely failure may point to why he did not immediately flee to the Levant. Aside from the difficulties in getting across the continent with the intense intelligence attention in the wake of the Paris attacks, it is also possible that he was not meant to survive and his possible joining of ISIS in Syria would have raised questions with the group. Was he a spy sent by Western intelligence? Had he been meant to survive, the group would likely have had a plan for his arrival to trumpet his evasion from authorities as another example of the group’s strength and power. Instead, he has now been captured by Belgian authorities in an investigation that has highlighted the depth of the problem that is faced in the country. The raids in Forest outside Brussels in the week prior to Adbeslam’s arrest uncovered a further cell of individuals armed with an AK-47 and ample ammunition who went down fighting with authorities rather than timidly handing themselves in. Alongside these raids, the discovery of a cell of four in Paris allegedly plotting an attack earlier in the week points to how active continental terrorist networks are. 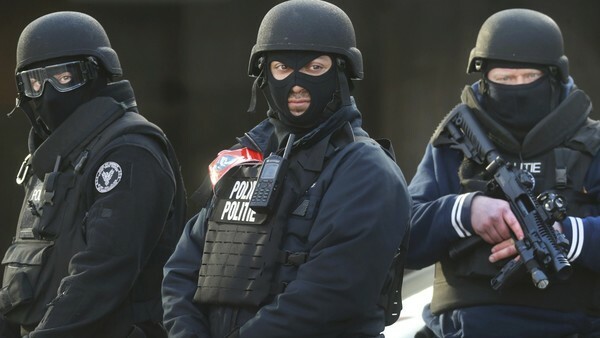 It is unlikely that the arrest of Abdeslam will generate a reactive plot. The issues around whether he was meant to survive the plot will mean it is uncertain the group would want to champion him in such a fashion. The fact he was arrested hiding with a network that included Mohammed Belkaid, a 35 year-old Algerian whose details had appeared as an aspirant suicide bomber in the ISIS files that were leaked a few weeks ago, nevertheless suggests that the networks in Belgium had not completely disassociated themselves from him. But it would be out of sorts for them to launch a reactive attack in such a fashion. This does not, however, diminish the threat from the group in Europe. The live arrest and subsequent interrogation of Abdeslam is likely to generate numerous leads for authorities that will concern others in Europe’s ISIS networks. This may lead to an acceleration of plots currently being formulated to get under way prior to their possible disruption. It may also lead to an exodus of people who fear detention and decide to head back to the relative safety of ISIS territory in the Levant. Given the intense attention that the network around the Paris attackers had faced in the past few months, however, it is not necessarily likely that any of this is particularly new. And while there is undoubtedly some concern about who it is that Abdeslam might now compromise, the reality is that ISIS had already been seeking other ways to launch attacks in Europe. While European agencies will undoubtedly bask somewhat in the successful live detention of one of the Paris attackers, the reality is most are bracing themselves for the next possible attack. 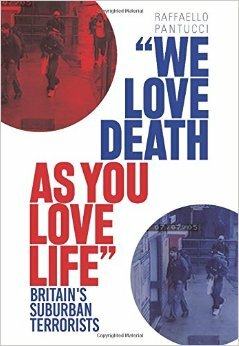 Raffaello Pantucci is director of International Security Studies at the Royal United Services Institute (RUSI) and the author of We Love Death As You Love Life: Britain’s Suburban Terrorists. Follow him @raffpantucci. And in a second piece, this time from Monday’s Times, looking at the phenomenon of homegrown radicalisation, this time in the context of Mohammed Emwazi, as well as the Paris attacks. As the full horror from Paris is revealed, the inevitable news has emerged that at least one of the gunmen had deep links and history as a radical in France (Raffaello Pantucci writes). This came in the week that news emerged from Syria that an American drone had killed Mohammed Emwazi, a west Londoner who joined Isis and rose to become the group’s public executioner. The concept of the homegrown jihadist, the killer from within, only accentuates the horror of the terrorist act — something of which terrorist groups are fully aware and capitalise on to drive their brutal message home. The concept of the homegrown jihadist is not new. For the most part they are drawn to extreme ideologies in their youth as they are exploring their individual identities and for one reason or another find salafi jihadism the most attractive. It is a problem that has been faced in Europe for almost two decades. The problem is one that is not going away, and is becoming more complex as we see people drawn to these ideas but in some cases not ultimately acting on their terrorist impulse for years. In the case of both Omar Mostefai, the Bataclan murderer, and Emwazi, the revelation of their names uncovered news that they were people the authorities had long noticed as individuals attracted to radical ideas. For the public, this is almost as shocking as the news of the individuals’ western backgrounds. How is it possible that these young men could have been allowed to carry out their atrocities if they were known to authorities? It is important to look at their individual histories to address the issue. For the Frenchman, the authorities had noticed as far back as 2010 that he appeared to be interested in radical ideas. However, they did not feel that he was part of what they identified as terrorist networks. He appears to have been a higher priority as a petty criminal. While circulating in a milieu that was not dissimilar, Emwazi seems to have been drawn to radical ideas in his youth. Graduating from the University of Westminster in 2009, he tried to join al-Shabaab in Somalia, part of a larger community of west Londoners drawn to the internationalist jihadist message advanced by that group. While these men chose a life of violence, what is not known is how many others with similar narratives drop off security services’ radar as they move on to peaceful lives. For the authorities the problem is a thorny one. The maturation of an individual from young person interested in radical ideas to active terrorist-murderer is something that can take years (or in some cases an alarmingly short period of time) and is not necessarily something that happens in tidy isolation or with clear markers. The Charlie Hebdo killers were also of longstanding interest to the authorities, but had been relegated to secondary priorities, given their lack of overt terrorist activity. It was the same for the murderers of Lee Rigby in Woolwich. Emwazi and Mostefai are likely to be in this category too: background concerns who were superseded by more active plotters. Unfortunately, ideologies are patient. And as long as these ideas continue to exist, the long tail of terrorist radicalisation will occasionally brutally lash our societies. It has been rather busy of late, so a bit behind on posting. First up, I wrote a longer piece in the Independent on Sunday at the weekend on the atrocity last Friday in Paris. In November 2008, a new form of terrorism filled our television screens as a 10-man cell dispatched by Pakistan-based terror group Lashkar-e-Taiba wreaked murder and mayhem across Mumbai. Choosing prominent targets filled with foreigners and Indians, the terrorists opened fire on anyone they came across, butchering 266 before dying fighting the authorities. In so doing, they took over global headlines for days as well as bringing one of Asia’s super-cities to a standstill. Terrorist groups around the world celebrated this horror and began to discuss how they might try to emulate this success. Seven years later in Paris, the playbook has been copied. This has been the longstanding fear of Western security agencies. Aware of the perceived success of the Mumbai attack, police and intelligence services across Europe have been ramping up their preparedness and training. Most recently, in June, the UK’s emergency and intelligence agencies did a dry run for a marauding shooter attack in London. And there have been scares. In 2010, a network of European cells that seemed to indicate al-Qaeda was attempting a Mumbai-style assault, with training camps in Pakistan’s badlands, was apparently disrupted. 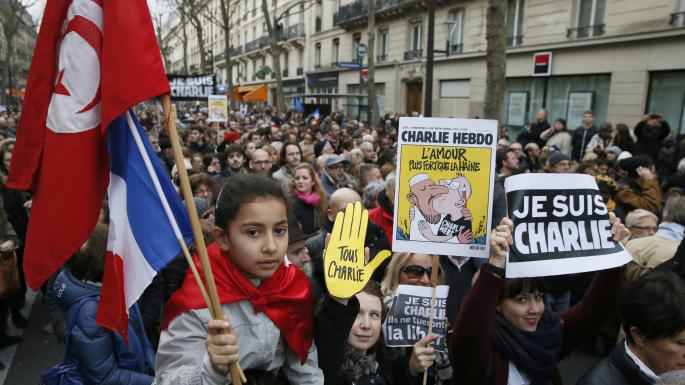 Then earlier this year, Paris was racked by the Charlie Hebdo murders. But whereas those attacks, initially at least, were selective in their targets, Friday’s were utterly indiscriminate. The bombers at the stadium must have known the French President was in the environs, though they blew themselves up outside, killing whoever happened to be nearby. The other cell liberally targeted Parisians on a Friday night out. This is a markedly different form of horror and one that requires deep indoctrination, preparation and training. It is also a step up in terms of atrocity from what we had seen before in Europe. Mumbai-style terrorism has reached European shores. At least one of the attackers has been uncovered as having some French background. While unsurprising given the threat picture that we have seen, this is particularly disturbing within the context of the sort of attack they undertook. To brutally shoot and execute fellow nationals pleading for their lives is something which would have required intense commitment. This training may have occurred in Syria, but in many ways this no longer matters. Islamic State (Isis) has shown an interest in stirring chaos and misery around the world with little apparent concern for its strategic impact. Unlike the Madrid bombings, which had the effect of prying apart the coalition in Iraq, the attacks that Isis has inspired, instigated or directed, have been aimed at killing as many as possible in “enemy” countries and stirring tensions in societies. France in particular has been at the epicentre of this threat. In May 2014, Frenchman Mehdi Nemmouche opened fire at a Jewish Museum in Brussels killing three. He was later reported to have fought alongside Isis. In August this year, another young man with links to France, Ayoub el Khazzani, was barely prevented from shooting at passengers on a high-speed train from Amsterdam to Paris. His background remains unclear, but he was linked to a network in Turkey that was linked to Isis and connected to Sid Ahmed Ghlam, a 24-year-old Algerian French resident who was reportedly plotting to attack churches in Paris. He was detained after he called an ambulance to his home having shot himself accidentally in the leg. He was already of concern to French security services. And none of this is to talk about the numerous plots that French authorities have faced where individuals have launched attacks in advance of jihadist ideologies with no clear evidence of any sort of network. Around Christmas last year there was a spate of random attacks using knives or cars, and in June, Yassin Salhi decapitated his boss and tried to drive a car bomb into a chemical factory in Lyon. He strung up his boss’s head on a fence, took pictures of it with an Islamist flag and sent them to a fighter he knew in Syria. This, sadly, is the nature of the current threat. And while obtaining the high-powered rifles required to cause such mass slaughter is much harder in the UK, it could strike here. Each wave of terrorism has to cause greater mayhem to have the same impact over time, and consequently for Isis to distinguish itself from al-Qaeda, it must create greater impact and misery.